Christmas is on its way - shops are decorated, carols are playing and it's time to start planning where you'll spend your well-deserved break. To make sure that you have the most memorable festive season yet, we're bringing you all the best Christmas holidays around the world. From local cities to foreign shores and the most cheerfully diverse destinations across the globe, we've got you covered. Christmas isn't everyone's cup of tea - that's okay, it doesn't mean you're Scrooge. The good news is that getting away from it all is pretty easy; it's picking where to go that's hard. Throughout the course of this month I've seen some amazing offers in Malawi, Vietnam, China, the USA and here in the UK. The options listed below are just a few that stood out in a list of many, many beautiful places where carols, mince pies and middle-aged Santas are the last thing you'll be thinking about. If you've ever spent Christmas while on holiday in one of these destinations, we would love to hear about it - so drop us a comment in the box below or send us a message on our facebook page. In the wake of Zimbabweâs unfortunate political strife, Zambia, which sits quietly on the other side of the Zambezi River, has blossomed and now hosts the bulk of visitors wanting to see The Smoke That Thunders - Victoria Falls. December in Zambia is a magical time of year. Summer is in full swing and everything is lush after seasonal rains have given the bushes a good drink. Please note, this is not like UK winter rain that lasts for weeks and dampens your soul â you'll be very lucky to see a storm. The bloated, grey clouds are lit up by the sun, giving the weather a surreal mood that is as beautiful as any clear day. While a city like Cape Town, South Africa, offers a modern, urban-infused African experience, Livingstone in Zambia takes you back to the basics: itâs all about the wildlife. Getting there is an adventure on its own. Most international flights land in Lusaka, Zambia's capital, which is roughly a seven hour bus ride away or a short, but fairly expensive flight. This sounds like a pain in the neck after you've just flown across the world, but it's really an opportunity to see the country from the soft, comfortable perch of a luxury bus. As you pass through open fields and smaller villages along the way, it really lets the reality of your situation sink in: you're definitely in Africa. If you need a night to recover, Lusaka has plenty of affordable, decent hotels and lodges where you can sleep off the jet lag. As far as accommodation in Livingstone goes, you can't beat the River Club, one of the country's premier eco-luxury resorts, which overlooks the Zambezi. 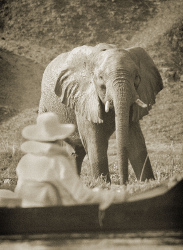 Besides being the gateway to Victoria Falls, the river is the lifeblood of the animal kingdom. 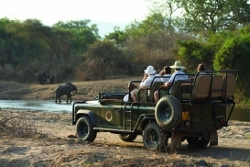 Game drives and sunset cruises on the river are a must - experience getting up close and personal with hippos, elephants, crocodiles and fish eagles. If you're too relaxed to leave the lodge, sitting on the restaurant patio with a cold Mosi Lager (my vote for Best African Beer) or a G 'n' T is no shameful way to appreciate the colourful sunsets. Try not to go too crazy on the booze if you're a keen angler though. Fishing trips set off after breakfast and you'll need to be on your toes to land a tiger fish, one of the most exciting game fish to catch - they fight like rabid pitbulls, have teeth sharp enough to steal fingers and taste like river steak. Victoria Falls will always steal the show. The walk through Vic Falls Rainforest is one of the most exciting parts of the trip, because you feel it and see the spray flying everywhere from far away â hence the reason it is called, "the smoke that thunders". There's nothing that really prepares you for the incredible first sight of the falls - it's a rare, natural phenomenon that always blows my mind. You don't find too many annoyingly loud tourists, yammering away and spoiling the moment, mostly because people's mouths are hanging open in amazement. In full flow, the immense power and scale of the falls stays with you for a few days afterwards. One of the really wonderful things about it is the rainbow that permanently hangs just above the torrent of water. Every month during full moon, you can take a night tour of the falls and watch a moonbow hanging above the falls. I cannot recommend this enough - it's an experience you'll never forget. This year full moon falls on 28 December, so it'll make the perfect Alternative Christmas present for yourself and a loved one. 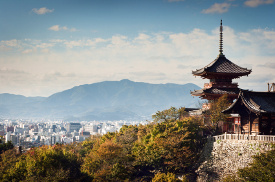 Kyoto is one of Asia's most understated highlights. Boasting 17 UNESCO World Heritage Sites, hundreds of temples, incredible natural scenery and a cityscape that rivals Tokyo, it's one of the cultural capitals of Japan. The month of December is a great time to visit - it's a bit colder, but you'll have more of the city to yourself. The otherworldly bamboo groves and endless side streets of the Gion District (where geisha's shy away from your curious looks) are yours to explore. From 8 - 17 December, a special illumination event is held at Arashiyama, one of Kyoto's most popular sightseeing areas. Hundreds of lanterns line the streets and bamboo forest at night, creating a magical pathway through the district, where people stay out and shop or mingle till late. For something totally out of the ordinary, on 31 December, the Shinnyo-do, Kodai-ji and Eikan-do Temples host the Japanese bell-ringing ritual, which brings the old year to an end and ushers in the new one. 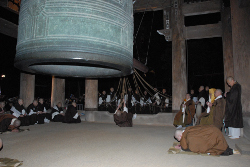 Bonsho, sacred bells, are struck 108 times on New Year's Eve, to purge humankind of the 108 Buddhist sins. If you wish to ring the bell, then start lining up at around 23:00. Certainly a change of pace from drinking champagne and Gangnam Style dancing on the coffee table at home. Mozambique has become something of an African Cinderella story. Since its civil war ended in 1992, the country has experienced an incredible revival - not just in terms of tourism and international interest, but throughout the population. It's a country on the up and up and this positivity is evident from the local people. Spotless beaches, palm trees and the ruins of its Portuguese colonial heritage are all part of the fabric that make it a uniquely exotic destination. December is party time in Mozambique and you'll be very pleased to not only find an alternative to Christmas norms, but also to Africa. The southern areas, nearer to Maputo (the capital) and the border of South Africa, are more developed than the untamed north. Ponto de Ouro and Tofo have been popular surfing and diving destinations since the early nineties, when a handful of mavericks went exploring the unexplored and returned to their worried loved ones with photos and stories of the most beautiful beaches and reefs they'd ever seen. The ocean is a hypnotic-blue and stays warm throughout the year. Along with its population of whale sharks, manta rays, dolphins and tropical fish, it's easy to understand why it's a beach bum's paradise. The coastline has been guarded from development for the last few decades, which makes it look something like Mexico's coast did before there were hotels and resorts planted along the shore. As far as accommodation goes, what you'll find is a varied selection of small resorts, backpacker lodges and hotels at a very fair price - it's still dirt cheap compared to other places of its calibre. If sleeping in a hammock and drinking local beer on the beach isn't your ideal holiday setting, the Coral Lodge 15.41, way up North and near to Ilha de Mocambique is a slice of heaven on a private nature reserve with dunes, beaches and mangroves at your fingertips. It's all the glamour and luxury you'd expect from the poshest hotel in the Mediterranean, except that you're on a small peninsula in Africa. The Coral Lodge is celebrating Christmas this year by serving a five star meal around a bonfire on the beach, at dusk. Sound okay? From an old Portuguese colony, to old world Portugal... Lagos is one of the prime destinations of the Western Algarve. December is the month to take advantage of low season crowds - for everything from getting a seat at your favourite restaurant to finding a parking spot in town, and cheaper accommodation rates. The winter weather is still great (it's not blisteringly hot anymore, but it's still nice compared to an English summer) and the city is yours to explore. Over the summer, what so many people miss out on (or don't get to fully appreciate) is the magnificence of the Old Town. Portugal is full of beautiful architecture from the Age of Discovery and Lagos is home to some of the most startling examples still standing. The gates to the Old City make you shudder as you enter a world that hasn't changed much (visually speaking) in more than 400 years. It's a city that needs to be walked to be appreciated. You can spend a whole week just wondering around the ancient, cobblestone streets, visiting museums and other places of interest, refueling with strong coffee at one of the many cafes when you get tired. The beaches are just as gorgeous, even though you'll probably do more walking than swimming in the cooler months. The Cascade Wellness and Lifestyle Resort, the premium resort in Lagos, is offering a special package from 22 December until 2 January, which includes five star food, massages at their renowned Tainai Spa and the chance to recharge around the pool or on the beach. After a long day of walking around the city, it's the perfect place to kick back and enjoy the festive season. For booking information and rates, follow the link to www.cascade-resort.com/uk/home. The festive season is my favourite time of year. Thereâs something about all the red, green and gold decorations popping up in the shops that gets me into the spirit of the season and I donât get over the giddy feeling until after New Yearâs Day. Not only does Christmas mean that most people get to take a well-deserved break, but it also brings about a sense of unity - families and friends really make an effort to spend this holiday together. So while many families prefer having a huge Christmas feast in the comfort of their own home, there are also those who want to have a jolly holiday abroad. I have chosen cities that will almost guarantee a lovely Christmas and where the whole family can have fun - from concerts and markets, to reindeer farms and meeting Santa Claus in his hometown, it's bound to be a holiday to remember. If you have had a memorable Christmas trip abroad, let us know where you went by dropping a message in the box below, or write a comment on our facebook page. Despite the very tragic occurrence of Hurricane Sandy recently making its way through New York, the resilient city should be buzzing again come Christmas time. If youâre looking for a typical, as-seen-in-the-movies type of Christmas then going to New York City is a must. The city is known for its classic white Christmas atmosphere and New Yorkers really go all out to make the season a magical one. Not many things top the feeling of dressing up in a big coat and walking down the snowy streets of New York to do your gift shopping, or even just to window shop. The Christmas window displays are always attracting thousands of tourists and the smell of roasted chestnuts in the air will have you feeling cosy despite the snow. Probably one of the biggest attractions all year round is the iconic Rockefeller Center. 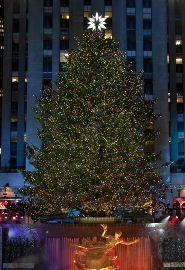 If youâre lucky enough to spend your Christmas in this city, you canât miss the famous, beautifully decorated Christmas tree in the middle of Rockefeller Centerâs ice rink. This year marks the 80th anniversary of the tree going up and on 28 November it will be lit with 30,000 LED lights. So why not grab a coat, watch the lighting ceremony and enjoy a few laps around the ice rink. Thereâs no doubt that NYC is big when it comes to live concerts, but Christmas offers something spectacular - the Radio City Christmas Spectacular watched by over two million people each year. Celebrating its 85th anniversary this year, the concert runs from 9 November until 30 December. As usual, the show will feature the entertaining force that is the Radio City Rockettes with their vibrant, cheerful music, colours and choreography, even the most cynical person will feel the Christmas spirit. This year the concert will be even bigger and better than before, commemorating the past, present and future of The Rockettes. Another Christmas tradition is to experience the world famous ballet, The Nutcracker, which shows at the David H Koch Theatre in the Lincoln Center from 23 November until 30 December. Sit back and appreciate the graceful dancers as they move to the music of Tchaikovsky. For a festive city tour, On Board New York Tours offers a great experience of the city's holiday lights, taking you all over New York, from Central Park to the window displays on Fifth Avenue. No matter what age you are, you canât be in New York at this time of year and not go to FAO Schwarz. This is Americaâs oldest and most famous toy shop and has featured in big Hollywood movies such as The Smurfs. Make sure that you have a go on their floor piano like Tom Hanks did in the 1988 film, Big while you're there. 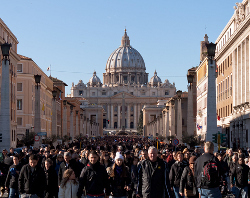 You canât get more traditional than spending your Christmas in Rome and the Vatican City. 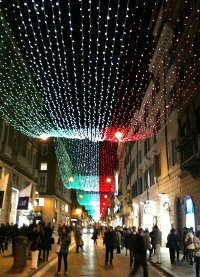 Rome is, after all, where the custom of celebrating this holiday began. The Vatican City, home to Pope Benedict XVI, also boasts ancient culture, such as St Peterâs Square and the Sistine Chapel. For gift shopping, Rome has many Christmas markets, the best one being at Piazza Navona alongside the remarkable Fountain of Neptune. The stalls are full of Christmas treats and beautiful nativities and to top it all off there's a great family atmosphere where children have a chance to meet Santa Claus. Befana, known as the good witch, also makes her annual appearance at the market and fills the childrenâs stockings with some goodies. The nativities around Rome range from living people to stunning works of art. One of the best and most famous nativity scenes is the crib at Basilica di Santa Maria Maggiore - the cityâs largest Roman Catholic church. Another popular activity here is ice skating at the Palaghiaccio di Marino, which famously hosts music concerts and stays open until midnight. (Incidentally itâs also the same place where legendary 90s grunge rock group, Nirvana performed as a group for the last time). Instead of going to bed early on Christmas Eve (so that Christmas day "comes sooner"), why experience Midnight Mass at St Peterâs Basilica delivered by the Pope. While tickets for the Papal Mass are always free, itâs best to go and grab them as soon as you can to ensure that you get a spot at this prestigious event. Papal Audience has all the tips on how to get tickets and everything else you need to know about the mass. Rome and the Vatican City pretty much close down on Christmas, so why not go on a tour where you can walk around, see all the famous sites and hear stories of the incredible ancient Roman history. 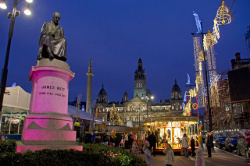 Angel Tours offers a Christmas tour of both cities. The English speaking tour guides take small groups of 8 to 15 people, giving you the opportunity to ask questions and get the full authentic experience. The tours explore a variety of sites, including the Pantheon, Piazza Venezia and St Peterâs Square, all the while imparting facts about the local history, including that of the Secret Illuminati. For a truly magical Christmas, take a trip to Lapland. Situated right near the Arctic Circle in Northern Finland, Lapland is home to the one and only Santa Claus. The entire city turns into a Christmas frenzy in December, attracting thousands upon thousands of tourists each year. Besides the excitement of meeting Santa and his elves, the snow covered forests and awe-inspiring Northern Lights make it a beautiful and scenic trip too. Whether you have children with you or not, you can really let your inner child come out when youâre in Lapland. No matter what age you are, Santa Clausâ office absolutely deserves a visit. You get to see where the magic of his gift bearing all begins and you can even pay a visit to the jolly man himself. Children can also write their letters for Santa here, ensuring they wonât get lost in the mail. If you feel like a small break from Santa, but still want to do something relating to the merry season, you might want to visit Purnumukan Porofarmi. 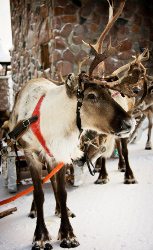 This popular reindeer farm offers tours with a difference - including reindeer rides to the Land of Snow. The three-hour excursion begins with you meeting the reindeer, before getting on a reindeer-drawn sleigh ride through the breathtakingly quiet forests of Lapland. Perhaps the most exciting experience for visitors is spending a day at Santa Park - a huge underground man-made cave thatâs full of Christmas spirit all year round. Santa Park is the ultimate Christmas fantasy, including the chance to enroll in Elf School to learn all of their highly specialised skills. You can also spend some time in the kitchen learning how to decorate the gingerbread baked by Mrs Claus or try your hand with some arts and crafts at the Elf Workshop. Deep down underground you can also visit the Ice Gallery, home to the Ice Princess. Here you can brush up on Finnish history and enjoy some chilled refreshments. Or take part in an under-crossing of the Arctic Circle - and you get a certificate to prove it. Part of the Santa Park experience is to visit Joulukka. Buried deep in the forest, the location is so secretive that not even your GPS can pick it up. Home to elves for hundreds of years, it famously attracts visitors wanting to meet them and see Santaâs Command Centre. This is where all the preparation and action takes place throughout the year for Christmas. The elves will also cook you a delicious dinner on an open fire as you sit back under the stars and watch the Northern Lights. Thereâs no doubt that coming to Lapland is a once in a lifetime experience, so for a comprehensive travel package, organise your trip with Canterbury Travel who offer some great Lapland packages at affordable prices. The historically rich city of Prague, with all its festive sights, sounds and smells, certainly deserves a spot on the list of Christmas holiday destinations. Take a leisurely stroll through the interesting streets, taste the decadent Czech pastries, shop for gifts and enjoy some people-of-Prague-watching. 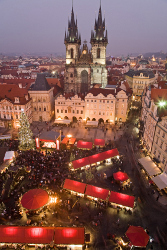 The most famous attractions of Prague's festive season are the huge Christmas markets at Old Town Square and Wenceslas Square. These markets consist of little wooden huts selling everything from hot food and Czech beers to arts and crafts for gifts and souvenirs. Some stalls even let you watch the handcrafts as theyâre being made. At night the lights of a huge Christmas tree illuminate Old Town Square and the nativities on display create a lovely atmosphere all around. The best part about these markets is that most of them are within walking distance of each other, so you can really make it an all-day outing. 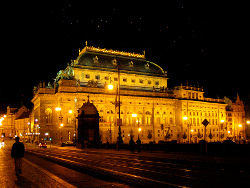 You canât go wrong by attending a concert at Czechâs National Theatre. The theatre is a national monument and boasts a range of opera, ballet and drama performances throughout the year. Over December, make sure to watch one of their festive concerts, such as The Story of Christmas Night, Christmas Concert or The Nutcracker: A Christmas Carol. Another fun thing to do in Prague is an old folk custom - Mikulas. This year it takes place on 5 December. Stand by as you watch the three figures - Saint Nicholas, an Angel and a Devil - make their way through Old Town Square. Children, who are well aware of the legend, watch in awe. Legend has it that children approach Saint Nicholas and tell him whether they have been good or naughty. If they've been good, they get treats and sweets, but if they've been bad, they get a sack full of coal or potatoes. A truly memorable authentic Czech experience. Carolers are caroling, sleigh bells are jingling and (hopefully) the snow is falling. All the makings of a traditional Christmas are in the pipelines, so why not make some plans to take a well-deserved break? While some may prefer to head for the distance shores of foreign countries, many might prefer to holiday on home soil at one of the UK's own Christmas destinations. It can save you time, money and effort, while rewarding you with a hassle free festive season. With so many places to visit in our beautiful Great Britain we have selected something for everyone. If you are looking for a traditional English Christmas, look no further than the Isle of Wight. 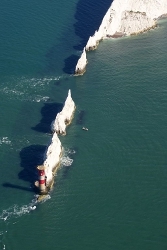 The diamond-shaped island is mere miles off the English South Coast of Hampshire County. And with a variety of events taking place, a day trip to the Isle may be all you need to re-charge. Of course, there are a range of places to stay too, for those of you who may want a little more time away. The Christmas season kicks off at Queen Victoriaâs favourite residence - the Osborne House. This two day Victorian Christmas celebration will transport you back in time as you're caroled to by Dickensian Chimney Sweeps, introduced to a young Queen Victoria and visited by Father Christmas. Providing you with outstanding Christmas entertainment, the Cowes Operatic and Dramatic Society (COADs) will be performing this year's Christmas Panto at the Medina Theatre in Newport. This season will take you into the world of Snow White and the Seven Dwarfs. The performance is sure to tickle your funny bone and get you in the Christmas mood. There are also some famous faces bringing the show to life this year, including Angela Webb (from Crossroads and Coronation Street), Drew Cameron (from ITV's Britainâs Got Talent) and Wendy Abrahams (from ITVâs Sooty Show). It's definitely a family must-do this Christmas. Shopping over the Christmas season can be a difficult and timely task, often requiring you to battle through crowds in packed shops selling over-priced items. 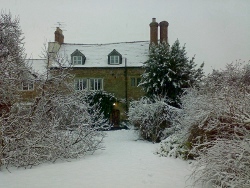 That is why this year the Isle of Wight museum has created a Christmas Shopping Winterland. The market is not just about finding both traditional and unusual presents, but it is also a place to go to recapture the Christmas spirit. The stalls are broken up into different areas, one of which is Dickensian themed. There is also live music playing everyday, along with plenty of other family activities. If you need more than just a day to recover from the business of the past year, why not consider staying on the Island over the winter holiday. Regular Island visitors recommend renting holiday cottages, especially if you plan to spend more than just a couple of nights. By doing this you have more freedom to decide what you want to do and when, without having to worry about sticking to meal times. It also means that you can bring everybody and the family dog for a big holiday or you can choose to make it small and secluded. Once you know what you want, you just need to find it. Island Cottage Holidays has a range of cottages for you to choose from. So it doesn't matter where on the Isle of Wight you want to stay or how many people will be joining you, there are more than enough places which are sure to match your criteria for festive accommodation. For some, Christmas is the only time to really put your feet up. After a year of hard work, the last thing you may want is to deal with the hustle and bustle of the âsilly seasonâ. 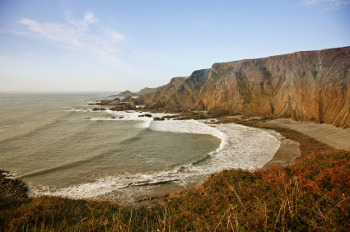 So why not give yourself a gift this Christmas and take a trip to the Cornish coast? Cornwall (Ceremonial) County slows down in the winter months. This gives you every opportunity to take relaxing walks on the beach or ramble through one of the many Christmas Markets. Every Cornish town offers something; whether itâs an escape from busy city life or an opportunity to stroll around festive stalls, a Christmas in Cornwall will not disappoint. The Fowey Christmas Market takes place on the first two days of December this year. The Friday night will set the festive mood and provide the young âuns with a Christmas thrill, as Santa arrives by boat at the Town Quay. He then leads the procession to the Parish Church where Foweyâs Christmas lights will be switched on. Saturday and Sunday are all about Christmas Shopping, which will be made a merry event by numerous bands and choir performances. The Padstow Christmas Market is three event-stuffed days, taking place from 7 to 9 December and will get even the biggest Christmas Grinch into the seasonal mood. There are daily cooking demonstrations given by renowned Chefs, which give you the opportunity to learn some tricks of the trade, and help get you ready to prepare your own Christmas feast. The market takes place on the North Quay and is a foodieâs dream with all sorts of tasty festive treats to buy and taste. There are also plenty of Christmas trinkets to be bought as gifts. If you have children, then a trip to Santaâs Grotto at The Institute is a must. There will be face painting, Christmas cookie-making and Punch and Judy shows. Of course your little one will also have the opportunity to meet Santa and tell him what they want for Christmas. Donât forget to find a spot on either the North or South Quay for the Christmas Fireworks, taking place on the Friday. Whether you have forgotten a gift, or just left the Christmas shopping until the last minute, the Truro Last Chance Christmas market gives you the opportunity to get hold of everything you need. There are unique gifts to find as well as any foodstuffs, from chocolate to cheese, that may fancy.. The market is open until 5pm on 21 and 22 December. Cornwall is the ideal place to go if you are looking for TLC over this festive season. The fresh seaside air alone can invigorate both your body and mind. To complement this, choose to spend your Christmas holidays on the coast. The Cornwall Hotel Spa and Estate is a great option if youâre looking for some pampering. The Hotel Spa allows for a true escape from all the stresses of of the Christmas period. If staying in a hotel for the festive season is not quite your cup of tea, then you can choose to take advantage of the Woodland homes. Warm and enticing - these two or three bedroomed pockets of privacy come with all the perks of staying in the hotel. The Woodland homes are also complete with an elegantly decorated Christmas tree and a Christmas hamper. While the rest of the world gets caught up in the Christmas rush, you can slip away into the beautiful world of Wales. Opt to get in touch with nature on one of the many mountain and forest trails, or if it's too cold for you to venture out, settle down in front of a log fire with a book. Wilton Court gives you the option to either head out or stay indoors. The self-proclaimed restaurant with rooms is situated in an area of outstanding beauty - the Wye Valley. Whether you just want to snuggle in for some good old fashioned down time or wish to head out and explore, you will be constantly surrounded by breathtaking natural wonder. With a traditional Christmas programme in place and 10% off for all our Essential Travel readers (quote Essential Travel when making your booking), it could be the perfect place for you to disappear into this festive season. 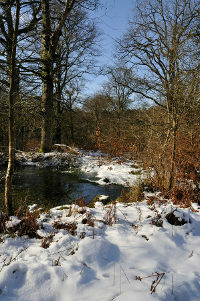 If you're looking to get out into the crisp, winter air, take a walk through the beautiful Forest of Dean. Situated in the Valley Wye, this massive forest has both walking and cycling paths that are open all year round. However, during the winter season, it is advised that you check the weather forecast so as to ensure that it's safe to venture out into the wild. To experience a more cultural outdoor exploration, visit Tintern Abbey. The Cistercian Abbey is renowned for the stunning scenery surrounding it, while the Abbey itself allows for a glimpse into the ancient history of Wales. The Abbey is open seven days a week from 10am (11am on Sundays) until 4pm - with the last admission being 30 minutes before closing time. For those of you who wish to get into the Christmas Spirit right at the very beginning of the festive season, be sure to attend the Carol Service held at the Abbey on Friday 7th December. The torch-lit, open-air Carol Service will be led by the Martin Singers this year, with all funds collected going to the Rotary Club for various charities. Take a train ride into the Scottish Highlands this December and get transported into a Yuletide World abundant with festive cheer. The usually rugged and craggy Highlands become softened by snow at this time of year, turning into a breathtaking Christmas scene that you'd normally only see on postcards. There are two train trips to choose from, one leaving from Glasgow, the other from Edinburgh, both offering the opportunity to take in the Scottish scenery and enjoy a Merry Christmas. ... To Crianlarich with Treyn holidays promises a lively trip along the West Highland Line. After spending your first day in Glasgow you will begin your journey. The ride will take you up what is widely considered to be one of the more dramatic and beguiling routes to travel through the Highlands. While this wild scenery plays its part in making your holiday unique, so do the places you stop at. Crianlarich, the little village you will be staying at for four nights, may be small but it is the link to some of the more spectacular sights in the Highlands. One of these is Loch Lomond, the biggest (by surface area) Loch in the UK, which you will have the opportunity to tour on Boxing Day. 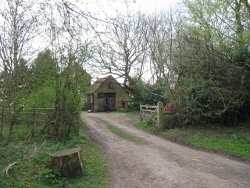 There are also plenty of walks and trails to enjoy in the village surrounds. You will also make a stop at Oban, the once small fishing village that is now one of the biggest ports on the western Scottish Seaboard. Donât let this put you off though as it still maintains its fishing village charm. A trip to the Oban Distillery is first on the to-do list and you will get to see how some of Scotland's finest malt whiskeys are produced. ... To Inverness with Great Rail Journeys means that you will be heading towards the home of one of Scotland's most beloved mythical creatures - the Loch Ness Monster. Getting there will take you through some of Scotland's most enchanting scenery as you travel through Cairngorms and across the famous Forth Bridge. You will also have an opportunity to spend a day in Edinburgh before you head off into this wondrous Scottish world. Inverness, the most northern city in the United Kingdom, is where you'll spend four nights, but not much of your day. Christmas Eve will be spent on the Kyle Line, giving you the opportunity to take in some of the best views of the Highlands. The 80 mile long track provides you with views of mesmerizing lochs and striking mountain scenery. Once you arrive at Kyle of Lochalsh, you'll have the chance to explore and soak in the views of the Isle of Skye. Inverness may be a good 13 miles away from the Loch, but it doesnât mean that you're going to miss your chance to try spot Nessie. Boxing day will give you the opportunity to enjoy the Loch and pay a visit to the Loch Ness Exhibition Centre. With the Festive Season around the corner, we're featuring the best Christmas holiday destinations around the world. From the UK to Zambia and a variety of other enticing locations in between, we'd like to think that we've catered to all your Christmas wishes. To make sure you don't miss out on anything, here's a wrap up of all the best places to eat, sleep and be merry this December.